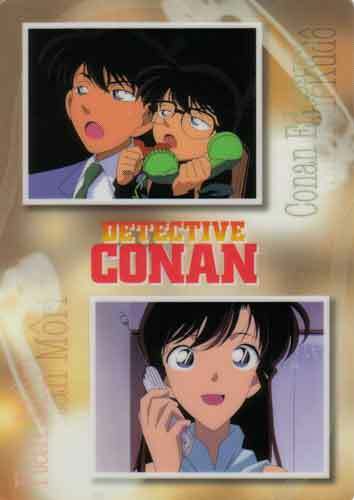 Conan talking to a poor, unsuspecting Ran as Shinichi. The expression on the Phantom Shinichi is priceless. The back is a rather boring, sepia toned picture of a bow-tie, but also has a synopsis of the series in English. Too bad there isn't enough contrast to read it. From the Yokohama Animate 2003.